Corrosion is the deterioration of a metal as a result of chemical reactions between it and the surrounding environment. Both the type of metal and the environmental conditions, particularly gasses that are in contact with the metal, determine the form and rate of deterioration. All metals can corrode. Some, like pure iron, corrode quickly. Stainless steel, however, which combines iron and other alloys, is slower to corrode and is therefore used more frequently. All small group of metals, called the Noble Metals, are much less reactive than others. As a result, they corrode rarely. They are, in fact, the only metals that can be found in nature in their pure form. The Noble Metals, not surprisingly, are often very valuable. They include rhodium, palladium, silver, platinum, and gold. There are many different reasons for metal corrosion. Some can be avoided by adding alloys to a pure metal. Others can be prevented by a careful combination of metals or management of the metal's environment. Some of the most common types of corrosion are described below. General Attack Corrosion: This very common form of corrosion attacks the entire surface of a metal structure. It is caused by chemical or electrochemical reactions. While general attack corrosion can cause a metal to fail, it is also a known and predictable issue. As a result, it is possible to plan for and manage general attack corrosion. Pitting -- the creation of small holes in the surface of a metal. 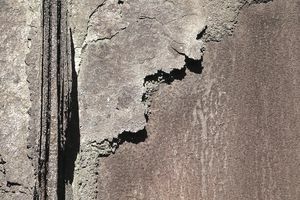 Crevice corrosion -- corrosion that occurs in stagnant locations such as those found under gaskets. Filiform corrosion -- corrosion that occurs when water gets under a coating such as paint. Galvanic Corrosion: This can occur when two different metals are located together in a liquid electrolyte such as salt water. In essence, one metal's molecules are drawn toward the other metal, leading to corrosion in only one of the two metals. Environmental Cracking: When environmental conditions are stressful enough, some metal can begin to crack, fatigue, or become brittle and weakened. The World Corrosion Organization estimates the global cost of corrosion to be about US$ 2.5 trillion annually, and that a large portion of this - as much as 25% - could be eliminated by applying simple, well-understood prevention techniques. Corrosion prevention should not, however, be considered solely a financial issue, but also one of health and safety. Corroded bridges, buildings, ships, and other metal structures can and do cause injury and death. An effective prevention system begins in the design stage with a proper understanding of the environmental conditions and metal properties. Engineers work with metallurgical experts to select the proper metal or alloy for each situation. They must also be aware of possible chemical interactions between metals used for surfaces, fittings, and fastenings.